Getting older is especially hard when we can no longer live independently without help from others. Sometimes this happens because of a fall, an injury or surgery. Sometimes it’s simply normal aging that is deteriorating the body. Or, it may be because of a diagnosis of dementia or another disease. How does a family decide whether home care is preferable compared to nursing home care? It helps to know that nursing homes are there to offer skilled medical care, when necessary, but home care can sometimes still be the solution. Often, families don’t have the ability to pay for permanent care. 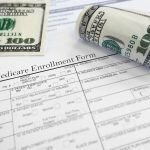 Of course, when a patient’s money is depleted, his or her payments are covered by Medicaid but Medicaid payments aren’t sustainable to high-quality nursing homes so some are no longer offering long-term care for this reason. Fewer nursing homes have created a demand for elder home care, which can be easily provided with cooperation between the aging adult, family members, and the medical care team. Home care allows adults to remain in the comfort of their homes, and in their own community. Home care services cost less than nursing homes, which can usually be found priced at $6,500 per month. That pricing isn’t feasible for many older adults who are living on fixed budgets with limited assets. In reality, you or your loved one might actually require just a few hours of help a day. Bathing and dressing, light housekeeping, or help in meal preparation may be all that’s required. With a few hours of care, families can save thousands of dollars compared to nursing home care. There is high value in helping someone stay in his or her own home. It can promote quicker physical healing along with mental and emotional stability. Remaining happily at home allows the adult a sense of dignity and he or she can have a higher quality of life in later years. If living alone becomes risky, home care can be the solution to helping a person live comfortably while maintaining a sense of independence. There are options besides nursing homes which allow patients and families to reap financial benefits along with a quality lifestyle. Home care is an excellent option for many. Ready to have a chat about short- or long-term options for yourself or a loved one? Call Home Care Assistance in Dayton, OH. Home care may be the best lifestyle option for you or your loved one.